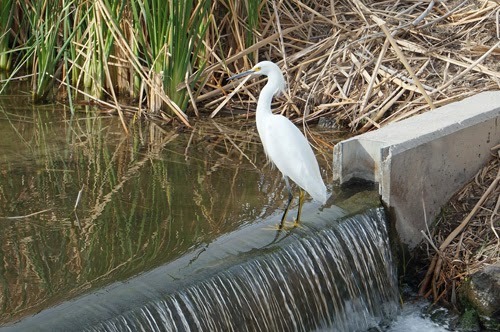 In order to To control erosion at the Wetlands Park, as riprap along bank, or in weirs, low dams that are used to slow down the water, they use material from imploded casinos. 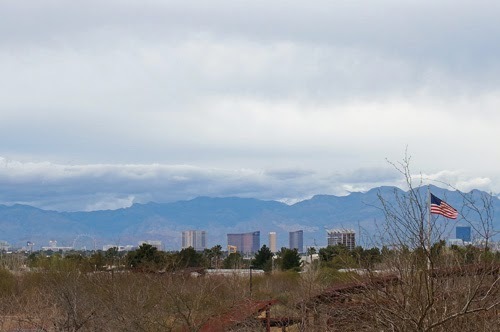 Rocks and other material from the Aladdin, the Desert Inn, the Dunes, the Castaways, and the Stardust are all around the Wetlands Park providing habitat for shore and wadding birds. Wetlands Park 210-acre Nature Preserve, has 13 miles of hiking trails and is home to more than 200 hundred species of birds and more than almost a hundred species of mammals and reptiles.Inside the Nature Center Exhibit Gallery- Interactive learning experiences teach visitors how to create food chains, read animal tracks, smell of plants and animals. The Nature Center is open from 9:00 am to 3:00 pm every day except New Year’s Day, Independence Day, Thanksgiving, and Christmas. The Wetlands Park is a peaceful place to walk around before 3 pm. After 3 pm, when the staff is gone, there are so many dogs and bikes and everything else around the park. The ark rules are clear: No bikes, scooters, or skateboards, or picnicking and also No dogs. Dogs disturb wildlife. But, dog owners just don't care. Las Vegas if full packed of dog owners walking around where is not OK to walk with dogs. Like I said, they don't care. Don't walk around the park with little kids after 3 pm. It's very danger. You know who big dogs attack first.